Immaculate home in Vista Ridge. Open floor plan with vaulted ceilings. Stunning hardwoods throughout main floor. Stainless appliances. Updated wood-look plank flooring in baths. Large loft upstairs overlooking living room. Unfinished basement, finish or use for additional storage. 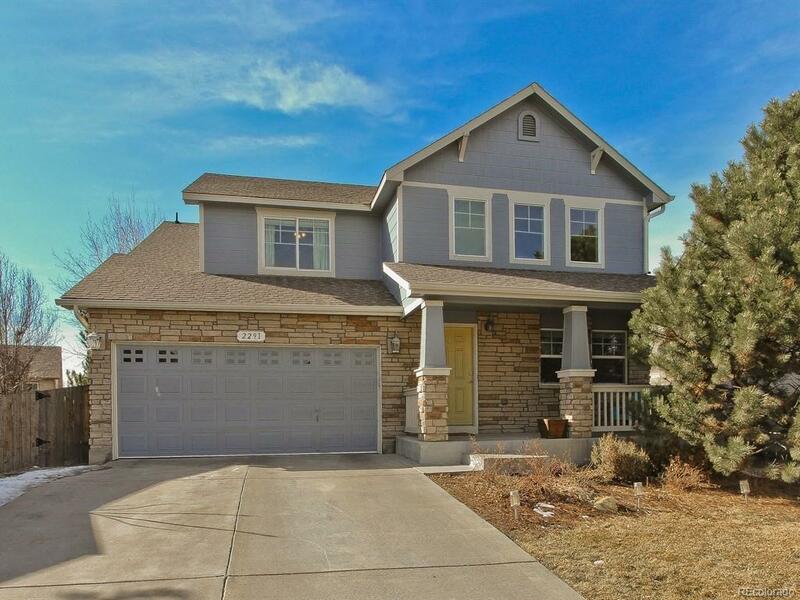 Great backyard has a large deck and patio with mature landscaping and mountain views. Community amenities include parks, community pools, tennis courts and rec center. Black Rock Elementary only a short walk away.